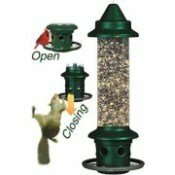 Need Nikon binoculars repair? Nikon's binoculars come with a 25 Year Limited Warranty and are also backed up by the "No-Fault" Lifetime Warranty. Regardless of what happens to your binoculars (even if you dropped them while leaping across the ravine to see that Red-capped Manakin!) 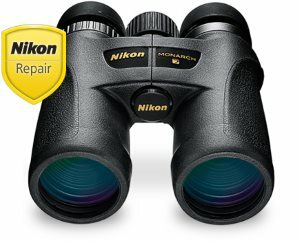 Nikon will repair or replace (their option) your Nikon binoculars for $10 plus return shipping costs. You will need to contact Nikon directly for this service. 1300 Walt Whitman Road, Melville, N.Y. 11747-3064, U.S.A.
Or go to the online support and service form for Nikon Binoculars Repair as well as a list of independent authorized repair stations. Nikon Monarch Binoculars - Review of all ATB Monarchs, including Monarch X. 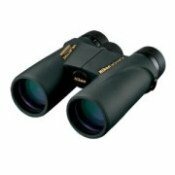 See our review of the Nikon Monarch 5 Binoculars ATB 8x42 or go to the best binoculars for birdwatching, which includes Nikon Action Binoculars and Zeiss Victory Binoculars as well as the Nikon Action Extreme ATB.